It’s time to lay your cards on the table, take a chance on love, and show the betting fan in your life how you feel. Check out these top casino-themed Valentine’s ideas. Have you fallen head over heels for a keen poker or blackjack player? Personalised chips make for the perfect Valentine’s gift that will keep you in their thoughts (and hopefully bring them luck) whenever they play. You’ll find many sites available to print your choice of message and design. In fact, for less than £130, poker-shop.co.uk will create a fully-customised 500-piece poker set to your specification, complete with a top-quality aluminium case. Another great site to visit is zazzle.co.uk. They offer personalised playing cards made by Bicycle, the world-renowned maker of exceptional decks. Upload an image and message of your choice and it will be printed on their patented, casino-class paper for around £15. Holding the title of ‘Best Steak Restaurant’ in London is no easy feat. But tuck in to the tender prime cuts at Heliot Steak House this Valentine’s Day and you’ll find out why this establishment is a cut above the rest. Their award-winning chef is happy to top your fillet with roast bone marrow, truffle and even lobster tail. And don’t worry if steak isn’t for you. The menu offers a range of alternative culinary delights, including a legendary Millionaire’s Mac and Cheese that’s sure to send your taste buds to heaven and back. Believe it or not, however, it’s not the food that makes Heliot prime choice for your date night. This restaurant overlooks all the action of the main gaming floor at the West End’s most-popular casino, The Hippodrome. It’s one of the largest venues in the country, boasting 17 roulette tables, 16 blackjack tables and over 100 slot machines. Reserve a table for two by visiting London_reservations@togrp.com. Just a 2-hour flight from London, Monaco is the perfect destination for a short but passionate getaway. And no trip to the French Riviera is complete without a visit to the historic Casino de Monte-Carlo, an opulent gambling complex renowned for beautiful décor and unrivalled entertainment. It’s not only love that will get your heart racing here. Take your pick from one of the most extensive selections of table games in the whole of Europe, with blackjack, roulette and trente et quarante available. Slot fans are equally well catered for; step inside the Salle Renaissance gaming room and you’ll have access to over 50 machines. After a day of high-stakes excitement, take time to relax with dinner at Salon Rose. This is an intimate restaurant situated at the very heart of the casino resort, offering stunning views of the Mediterranean and great cuisine. It’s the perfect setting for letting love blossom. Visit casinomontecarlo.com to organise your visit. Valentine’s Day is always one of the busiest nights of the year. If you’d rather avoid all the other gooey-eyed couples crowding the bars and restaurants, or if you’ve left it too late to book a table somewhere, why not plan a cosy night in for you and the one you love? Treat your other half to a home-cooked dinner before cosying up in front of a casino movie classic. Get the popcorn ready and pick a film that showcases the fun and glamour of Vegas’ infamous gambling scene, such as Oscar-winner Rain Man, epic Casino or funny side-splitter The Hangover. 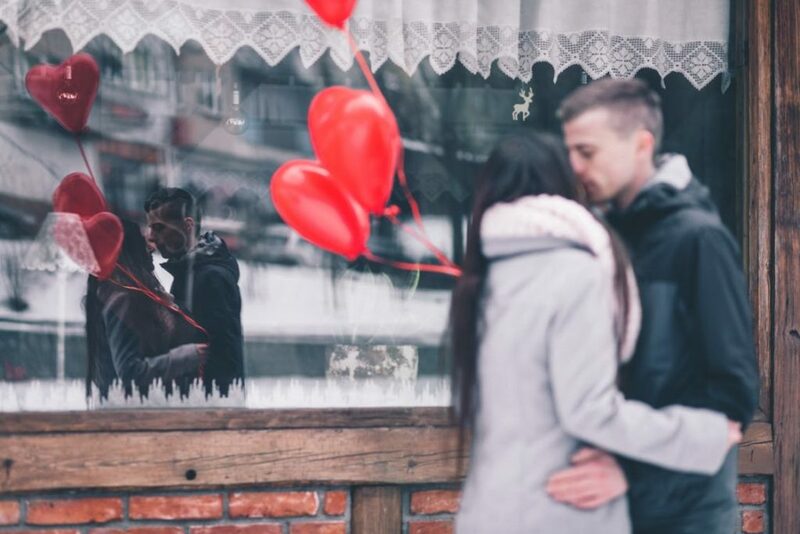 Despite all our talk of thrilling Valentine’s date ideas, we know that for everyone under Cupid’s spell, there are plenty more singletons out there. Don’t let single life stop you from cashing in on the gambling fun. Enjoy stretching out on your sofa and signing up to an online casino. Get your heart pumping with a choice of hundreds of slot and table games, delivered right to your laptop, mobile or tablet device. What’s more, most sites offer up Valentine’s themed promotions around this time of year. These can really help you try and discover a big win. Good luck!